Here at Printerbase, we love delivering fantastic deals for our customers and today is no different! 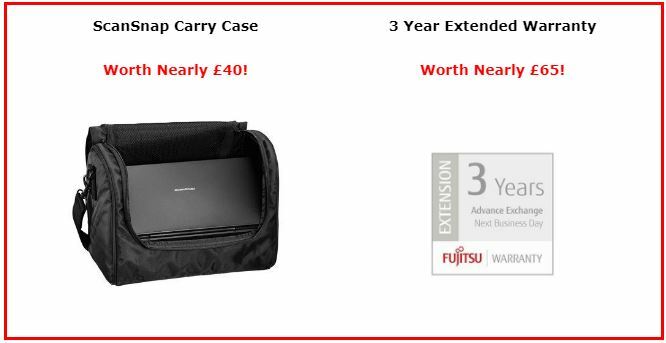 For an extremely limited time, you can claim a FREE Fujitsu Scansnap Carry Case or 3 Year Extended Warranty when purchasing brilliant Fujitsu ScanSnap iX500. Find out below why this isn’t a scanner or a deal you’ll want to miss out on. 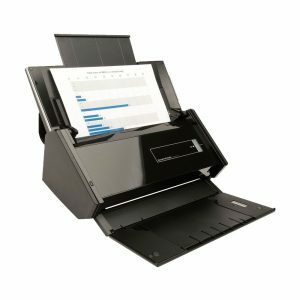 – The ability to scan wirelessly to your PC or mobile devices keeps your files accessible. – A range of scan correction features reduces errors. 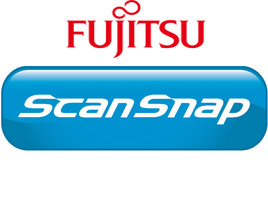 – ScanSnap Cloud software allows you to scan directly to the cloud, making sure your scans are always available. Harry Recommends the iX500 David was impressed! This promotion is limited to end-user companies only based in the UK, Ireland and the Channel Islands. This promotion is not open for friends and family of either Fujitsu or Printerbase Ltd and is open until the 31st of March or when stocks run out. The chosen related accessory will be dispatched directly from Fujitsu and will arrive within 30 days of purchase. Once you’ve purchased the scanner we’ll contact you 7 days after delivery of your iX500 to arrange delivery of your FREE item.